Is the “Ivory Tower” Actually a Barrier Against Conservation? I recently returned from the 2014 International Marine Conservation Congress (in Scotland, which was pretty awesome) where I heard some great marine conservation presentations and met many interesting marine scientists/conservationists. Above all, I was inspired by the themes that were repeated throughout the week, calling on us as scientists to make marine science matter. To do this, we have to break out of “the ivory tower” or at least look out the window once in a while! Conservation is not going to happen through a bunch of scientists sitting at their desks or lab benches writing papers. This is not enough. Don’t get me wrong, performing research and publishing are both extremely important, but we have to take it a step further. 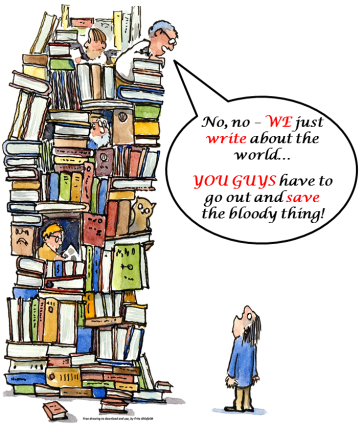 Why is your research important? Who does it affect? How can people use it to improve the world we live in? How will you get it into the correct hands to make a difference? I feel that these questions should be some of the most influential when designing research projects and experiments. Not “Is this novel enough?” or “Will this get me into Science or Nature?”. We need to do our best research but also think about how it fits into the bigger picture of our world, not just its importance within the scientific community. The world as we know it is changing, especially within our oceans. 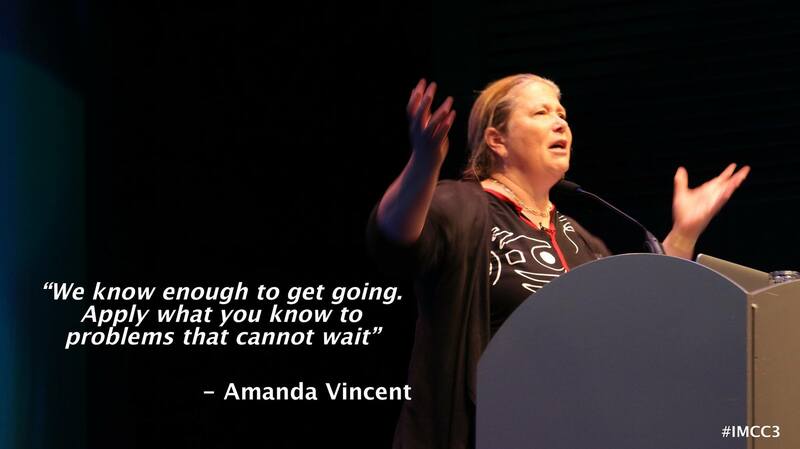 During the opening plenary talks at IMCC, Dr. Amanda Vincent challenged us to act now. She explained that in many cases, we have enough good science to make conservation decisions and take action, yet we often hide behind the excuse of “needing more data.” Dr. Vincent stated that if you want to be a conservationist, you must also take action. Use the good science that has already been completed and make a difference in the world. We often talk of conservation goals in the future, but if we have the data, why don’t we do something about it now? Taking action doesn’t mean simply dictating regulations or setting up marine reserves, however. We have to include people within our conservation strategies. This probably seems odd for many scientists. Science isn’t supposed to include a human aspect, right? Wrong. Whether we like it or not, people are part of the picture. If we want conservation plans to be successful, we have to work with the local people to develop them. 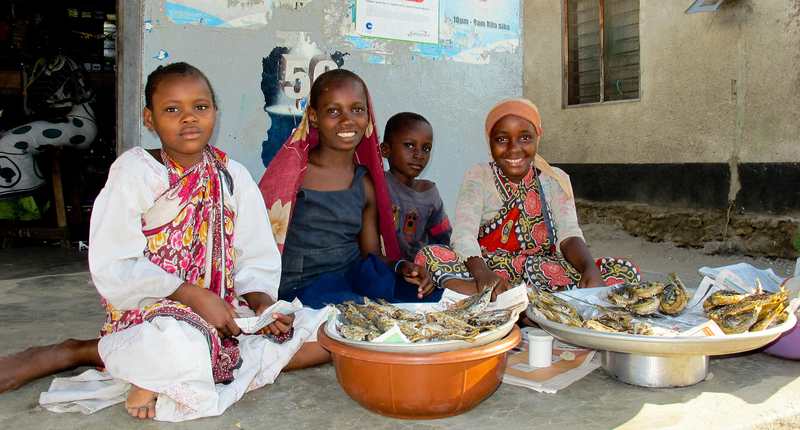 We have to understand the local culture, how people use the ocean, and how they view conservation efforts. Once we involve people in our plans, we can begin to transition from unenforced regulations and marine “parks only on paper” (humorously referred to as “POOPs” during IMCC) to locally enforced, successful conservation strategies. When developing conservation plans, we not only have to speak to the local people, but also to politicians and policy makers. And we have to speak their language. Conserving the ocean simply because it is beautiful or diverse may be important to us as scientists, but we have to make it matter to others too. Think about how you can form your conservation goal into something policy makers can work with- jobs, money, security, ecosystem services, etc. It is easy to get stuck in the vocabulary and values of the scientific world, but we have to remember that is not always representative of the world we live in. Politics, economics, human health, and many other issues are often priorities in the “real world” and we have to make our conservation goals fit amongst them. The most essential theme throughout the conference was collaboration. Certainly no one will be the best at performing research, working with local people, and speaking to policy makers all at once. Everyone will have their strengths. The important thing, though, is to seek out partnerships and create teams of people with those different strengths. There is not one person who is capable of “saving the world,” but together, we can get much closer. Tags: Conservation, IMCC3, Ivory Tower, Scicomm. Bookmark the permalink.